Manage, fix and remove unnecessary fonts with ease using one of the following programs. Find out about features, limitations and costs to determine which software is best for you. 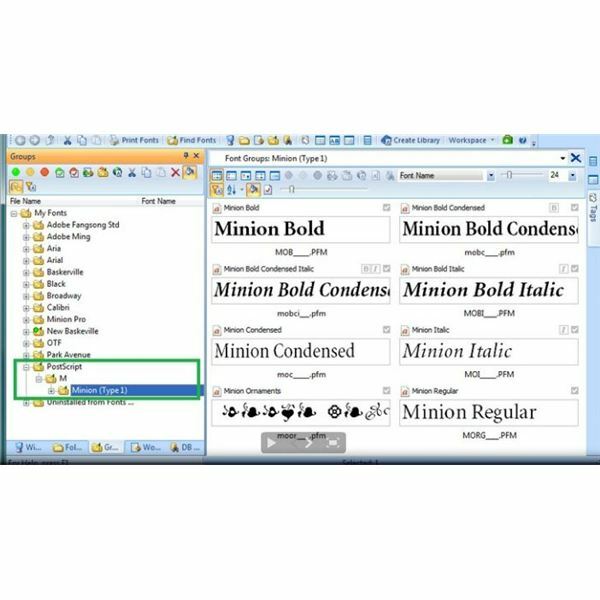 Do You Need Help Managing Fonts? A font can change the tone of an entire publication, so downloading custom fonts is a wonderful way to take your desktop publications to another level. Whether you find fonts online or load CDs full of them onto your computer, there are so many unique and interesting options that it is easy to get carried away. Before long, you may have so many fonts that finding the best one for a project is a job in itself. This is where font organizing software comes in. 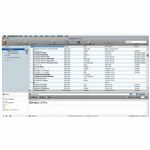 There are many different applications available with a variety of features, tools and prices. The following list provides you with insight regarding some of these programs, in no particular order, so that you can make an informed decision and choose the best software for your needs. To learn more about or download a particular program, follow the appropriate link in the References and Resources section at the end of this article. 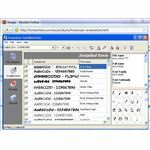 This font organizing software offers several beneficial features. 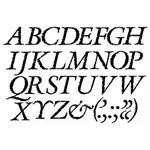 Use it to view hundreds of fonts at once or compare fonts side by side, as well as all of the info for a font and a complete character table. Group fonts in categories you label yourself, such as "Childlike" or "Elegant." Once you create these categorized folders, all you have to do is drag and drop fonts into them. This application will also scan your computer for fonts that might not be in the primary folder, make it easy to delete those you don't need and repair damaged fonts. You can download a free trial version or purchase the full version for about $30. 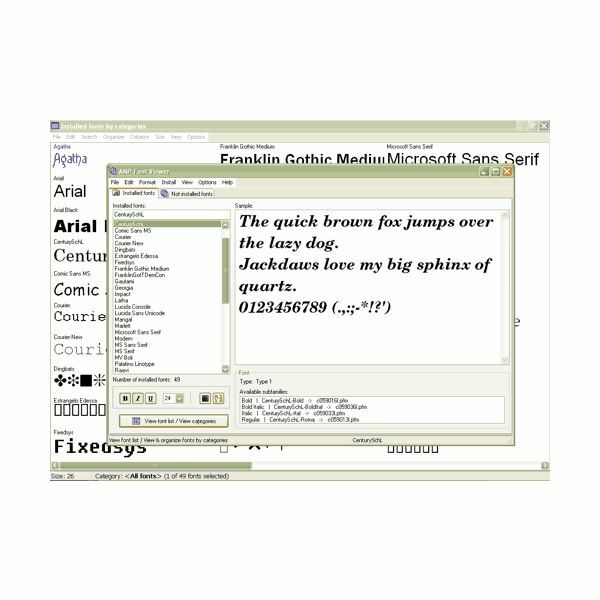 Rich in features, Font Expert allows you to view, categorize and rate the fonts installed on your computer. In addition, you can search them by keyword, search for them on your computer and network, and even search for damaged or duplicated fonts. The program is easy to use and offers advanced tools as well, such as the ability to export fonts to an online HTML album and activate missing fonts with a plug-in for Adobe InDesign. Download a 30-day trial version and, if you love it, purchase the program for about $60. Font Explorer X is available for PC, Mac and servers. 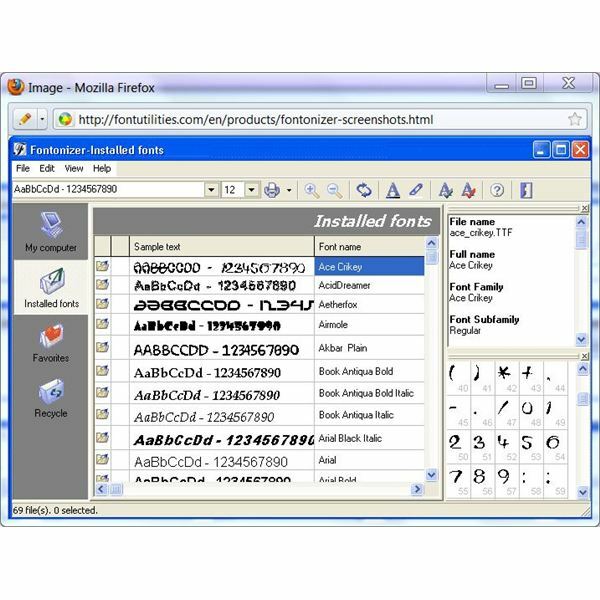 Font management tools include clearing font caches, organizing sets of fonts, export fonts and view style sets and family links. Access information about fonts in customizable previews and lists, including detailed information. An Adobe plug-in allows you to automatically activate fonts in a variety of programs, including InDesign, Illustrator and QuarkXPress, and you can download a free trial version for 30 days. Fully licensed versions cost about $80. While it might not have all of the features of some of the other font organizing software listed here, AMP Font Viewer still packs a punch. 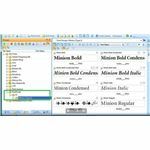 You can use it to easily install and delete fonts, view a list of fonts with a choice of options, and categorize and manage installed fonts. 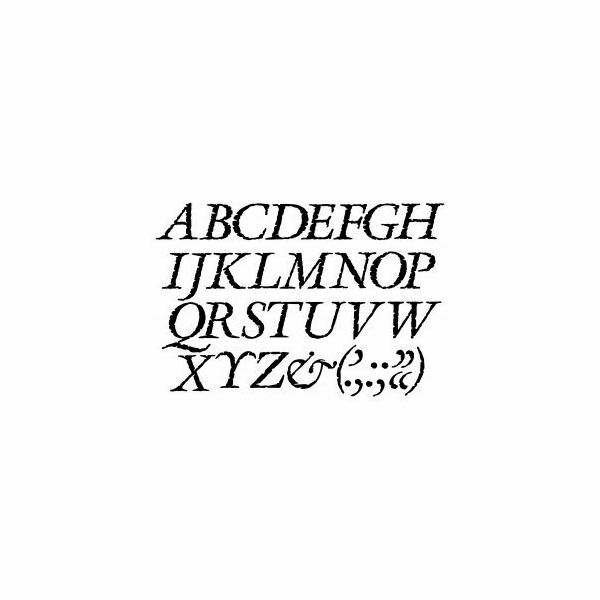 Some of its best tools include the ability to print a list of a selection of installed fonts -- or all of them -- along with an example of each one and a scratchpad that lets you try out a font. Another reason that you might consider this option is that you can download the full version at no charge. While the name of this application might not sound like font management software, rest assured that Extensis Suitcase Fusion 3 is that and more. Available or Mac or PC, you can activate, deactivate and otherwise control your fonts while the program runs in the background. If you want to preview a font, simply drag and drop it with the Floating Preview onto your document. 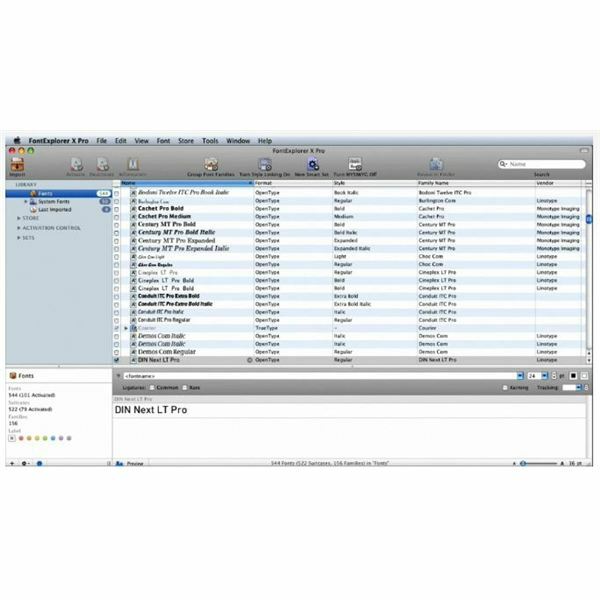 Preview type size, text as PNG files, supported characters and side-by-side comparisons in a snap, and categorize and sort fonts as you do your music playlist. In addition, not only will this program detect and repair corrupted fonts, but it will also store them securely and back them up to prevent damage in the future. You can download a free, 30-day trial to give this application a try and then upgrade to the fully-licensed version, starting at just under $50. There are several factors to consider when determining which program is right for you. Take your budget into account as well as your needs and frequency of use. Download free trial versions and use them to see which one is the most comfortable and seems to have the features you want. Taking the time to bear these aspects in mind will help you make the best choice.